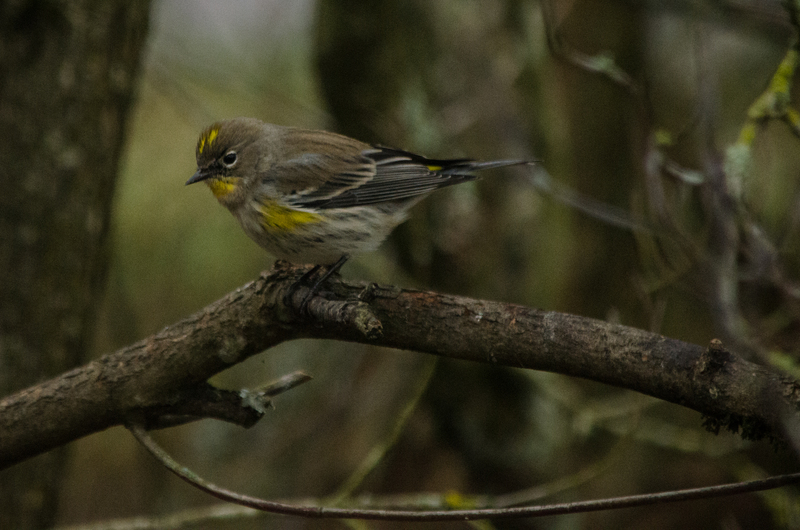 Yellow-rumped warblers returned this mild winter, visiting the suet several times. 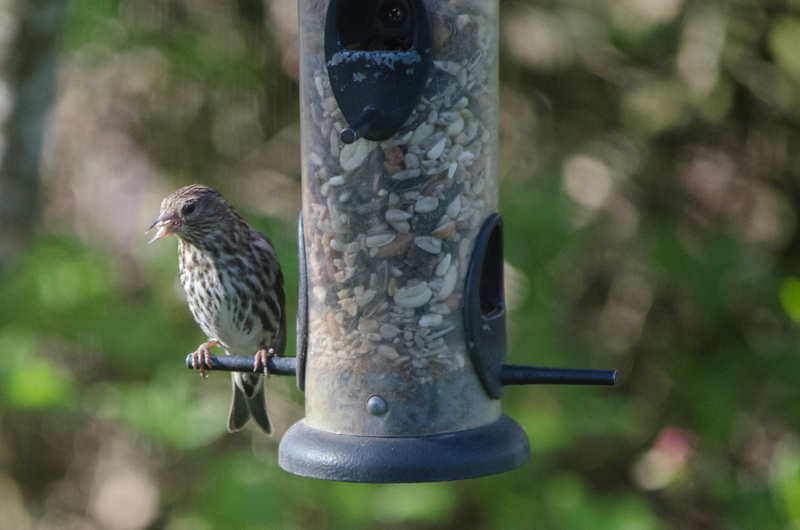 Most of my visitors are not seasonal, but rather come by the feeders year-round. 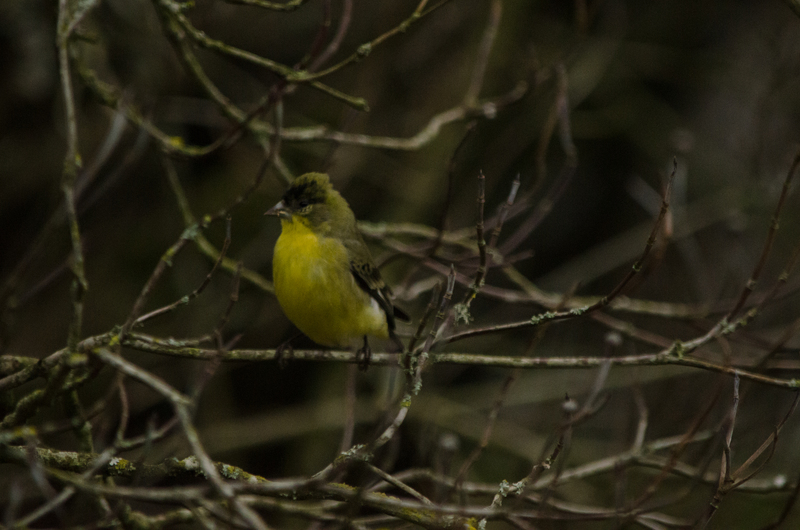 This male lesser goldfinch brought a splash of color before the leaves arrived in the spring. 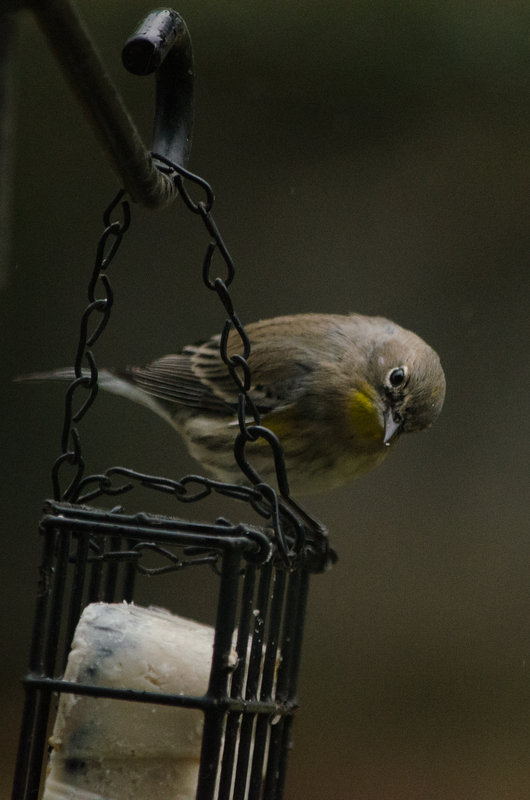 Although they prefer the thistle usually, both the lesser and the American goldfinches will not hesitate to go for larger seeds instead. Chestnut-backed chickadees supposedly like higher elevations after winter and early spring,but I see them almost all year round at my feeders. 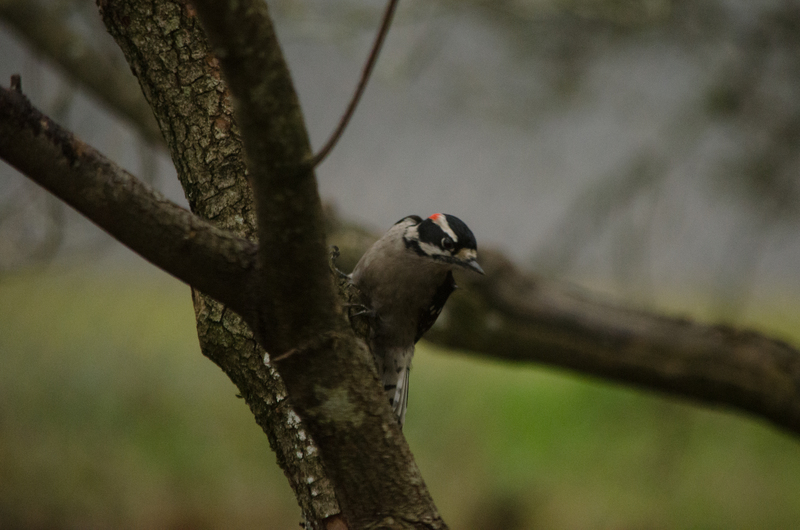 The downy woodpecker pair goes for the suet every time, although every once in a great while I see them pull nuts from the feeder. 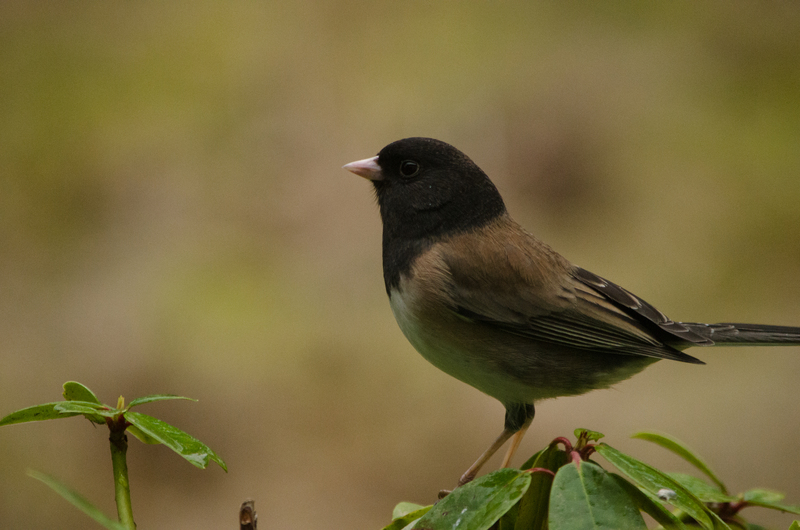 Dark-eyed juncos go between the rhododendrons and the dogwood, alternately grabbing from the feeders and scavenging for what others have dropped on the ground below. 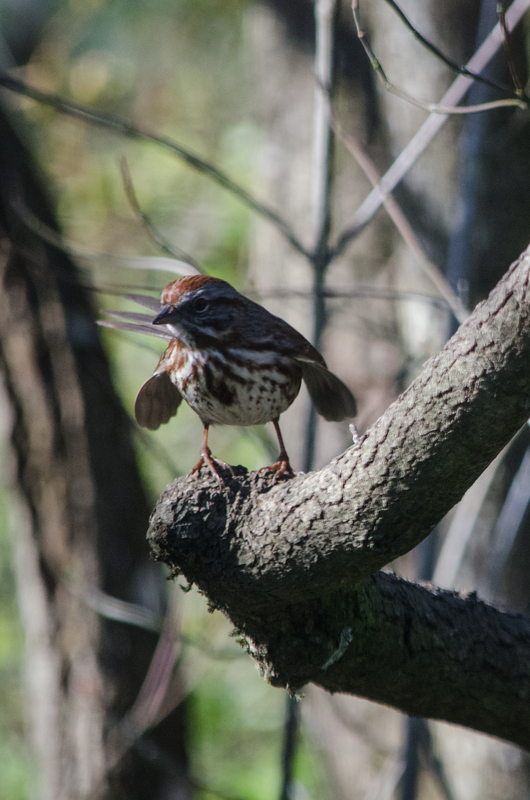 Song sparrows are right there with the juncos, stopping occasionally to sing in the branches of the dogwood. Red-breasted nuthatches practically dive-bomb the feeders when they arrive, and whiz away again to eat whatever they snagged (usually a shelled peanut). Although I saw very few of them this year compared to last, the pine siskins did make a few appearances in early spring. 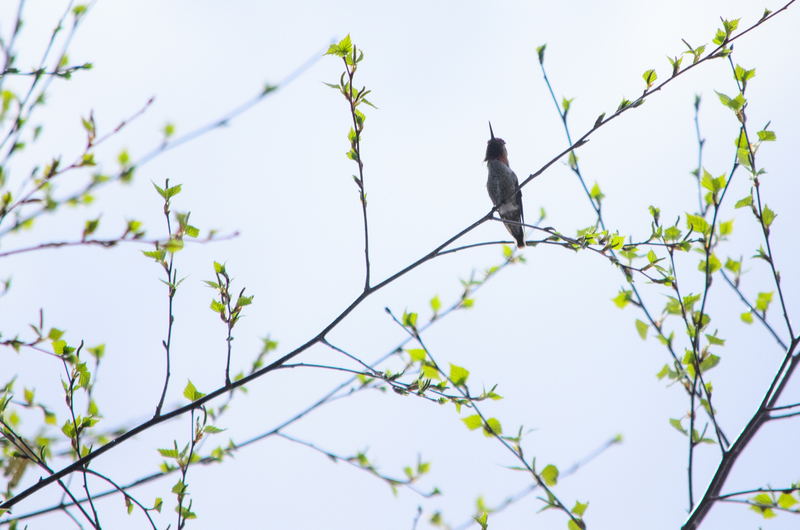 Anna’s hummingbirds guard the yard against one another fairly effectively; I rarely see more than one at a time, but I know there are at least three that come by my feeder. 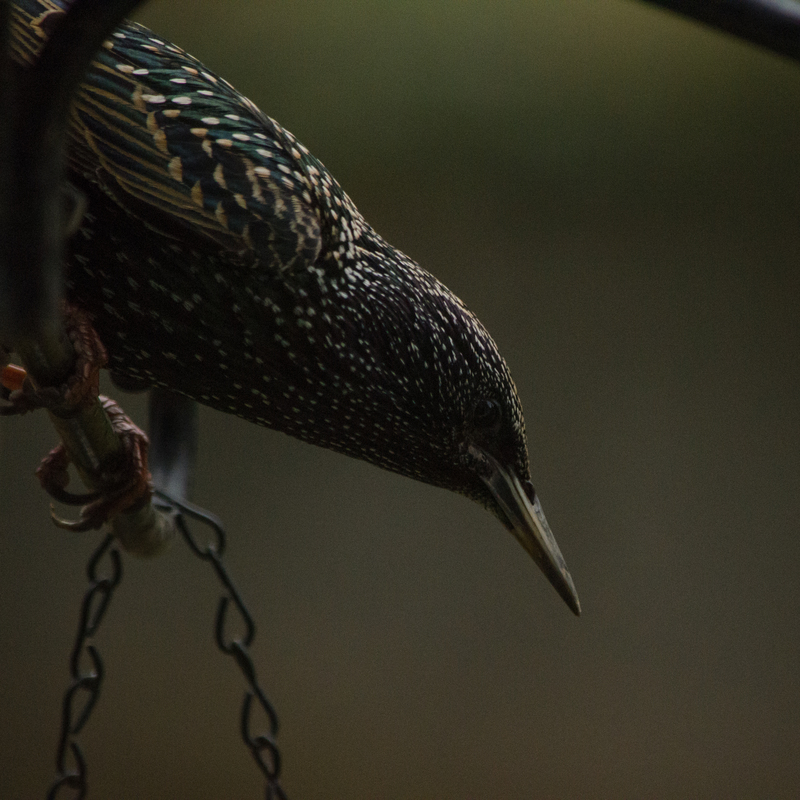 European Starlings eat anything they can get their beaks on! Their stunning plumage and sharp features make for dramatic portraits of this invasive species. 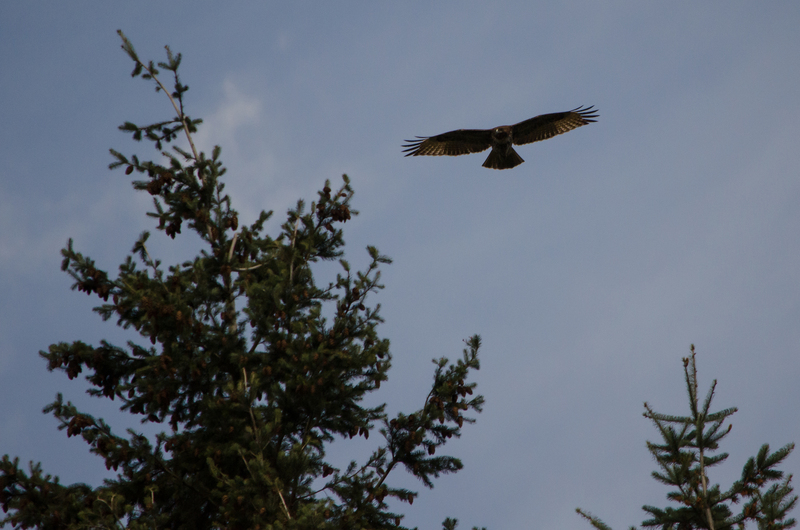 Although the red-tailed hawk never technically comes into my yard (that I’ve seen), I do see this visitor to nearby treetops regularly. For more images from my birding in the yard and beyond, be sure to visit my Flickr site. Comments are always welcome! Love them all! 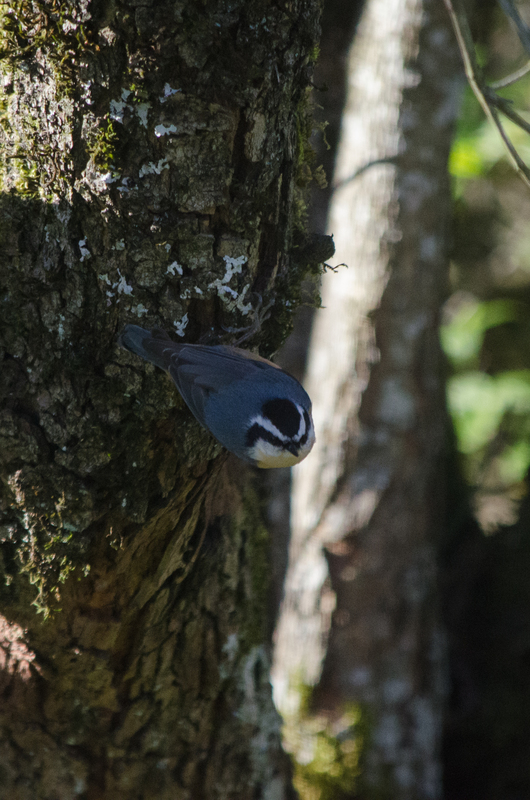 But the chestnut backed chickadee is a first for me. Thanks for sharing your lovelies. What part of the country are you in? I’m in Portland, Oregon. 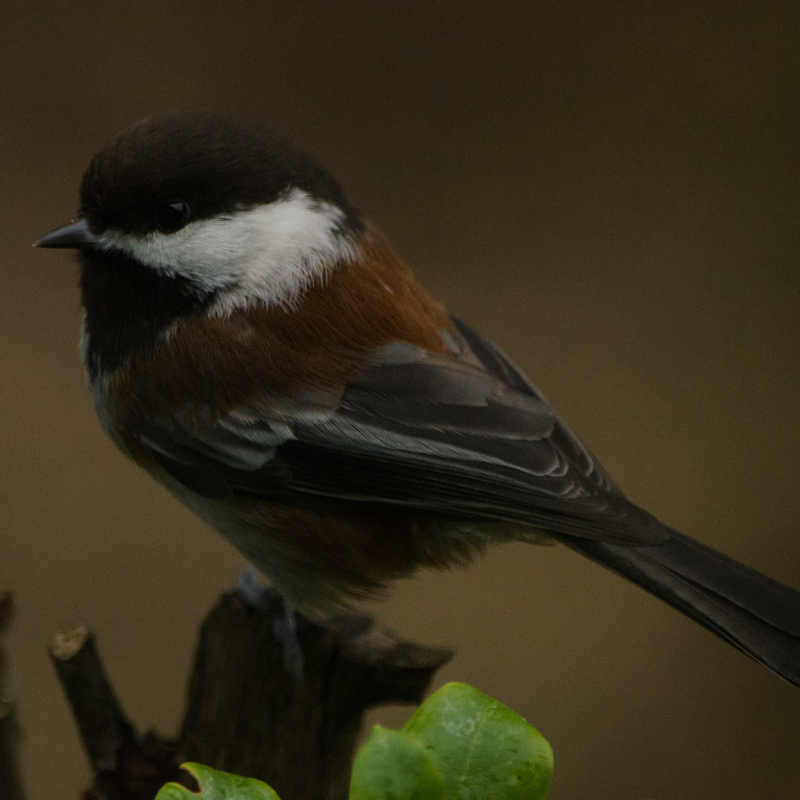 The chestnut-backed chickadees hit my feeders heavily in the fall through early spring! They’ve tapered off now but I still have a couple hanging about.